Through in-person and online coaching, workshops, and video courses, we help our clients build their presence, credibility, reputation, influence and leadership skill in business. Our clients come from law, accounting, finance, banking, marketing, HR and the medical industry. They can be individuals who want to take charge of their professional development or companies who want to train their team. With a unique expertise in leadership, business etiquette, cross-cultural communication and social skills for business, Kara will help you grow into the high-performing executive and authentic leader you’re meant to be. Browse through our website to find out more about the services and products we offer. Sign up to our free monthly newsletter to get tips straight into your e-mail inbox. 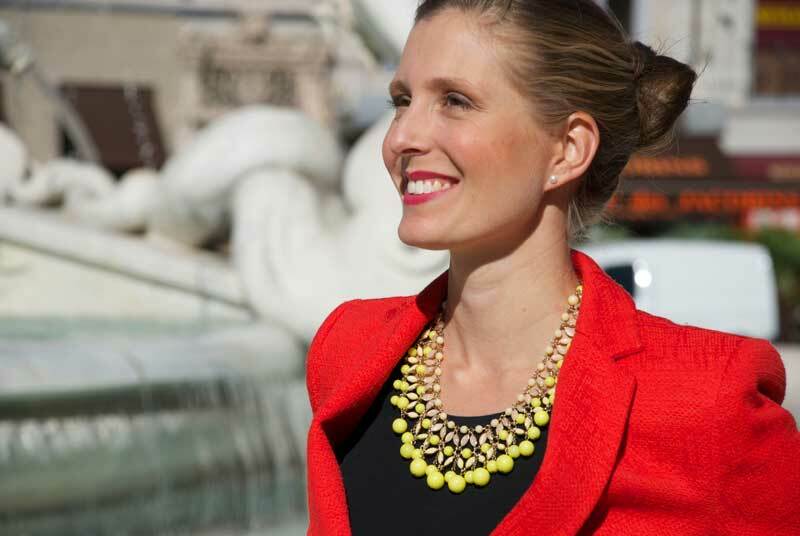 Kara Ronin is the founder of Executive Impressions. She is an executive coach who specialises in business etiquette, social skills and leadership branding. She is also the creator of Bestselling Udemy course, Business Etiquette 101: Social Skills for Success. Kara works with senior to executive level clients from banking, law, accounting, and finance to help them build leadership presence and improve their social skills in business. She has written for TIME, Business Insider, The Local France, YFS Magazine among others, and has been quoted in MSN.com, The West Australian, The Advertiser, Business Insider and Ingnites Europe. Since 2015, she has been voted as one of the Top 100 Leadership Experts to follow on Twitter (@execimpressions). Her speaking engagements have included talks at Geneva Business School, Chartered Accountants Australia and New Zealand, and other associations and groups. She regularly shares her insights in podcast interviews which you can find on her Media page. Prior to starting Executive Impressions, Kara spent over 10 years living an international life in Japan, the USA, and Europe. She speaks Japanese as well as French. Her corporate experience includes working for a Japanese trading house and for one of the Big 4 accounting firms in Tokyo as an international tax consultant. You can connect with her directly on Twitter or LinkedIn. You can download her free workbook, “7 Days to Elevate Your Social Skills and Drive Your Business Success”. Sign up for Kara’s weekly newsletter to get free tips directly in your inbox every week!